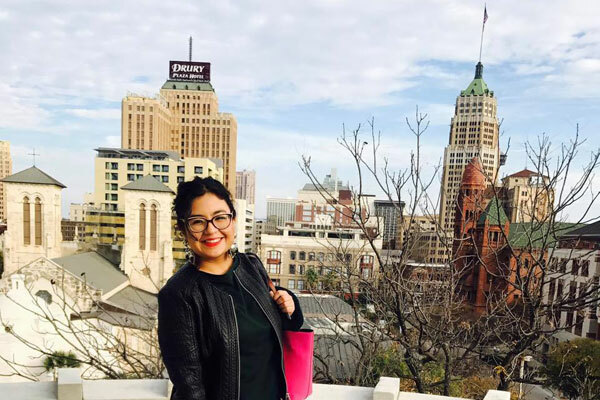 Updated: Dec. 21, 2016, 9:00 p.m.
San Antonio’s LGBT community has failed to meet the goal of raising $30,000 by the end of the year to help pay for rainbow crosswalks on the Main Avenue Strip. Only $2,700 of the goal was reached via a Kickstarter campaign which was initiated in late October. Organizers say that they doubt any significant increase in that amount will materialize before the December 22 deadline. 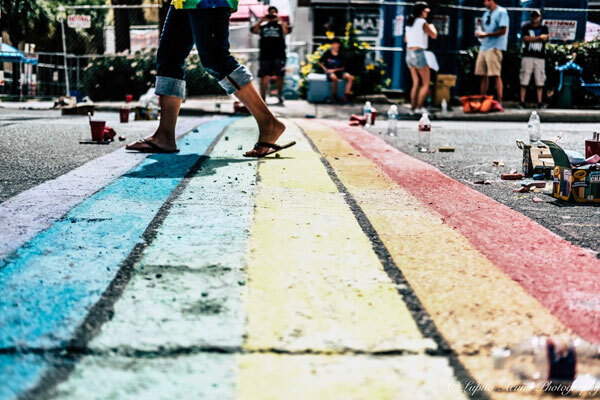 There seems to have been great enthusiasm for the crosswalks especially after a group of activists, aided by District 1 Councilman Roberto C. Treviño, painted a set of rainbow crosswalks in chalk at the corner of Main and Evergreen on July 1, the day of the Pride SA festival and parade. However, that enthusiasm did not translate into enough donations to create permanent crosswalks. The project has detractors as well. Some in the community have complained the cost of installing the crosswalks is too high and the money could be put to better use. The plan to create the crosswalks was hatched this summer. In June, Treviño, submitted a Council Consideration Request seeking the council’s approval for the crosswalks. The proposal was co-signed by council members Manny Pelaez, William Cruz Shaw, Rey Saldaña and Ana Sandoval. In August, the City’s Council’s Governance Committee approved a pilot program to have the crosswalks installed at the corner of North Main and East Evergreen. “We hope to have [the crosswalks] installed by the new year,” Treviño told Out In SA at the time. The council’s committee specified private funds must be raised to offset the difference in the cost of installing a traditional white-striped crosswalk. The total price for the installation of the rainbow crosswalks is $40,000 with the city covering $20,000 of that amount and the LGBT community raising the balance. The amount sought in the Kickstarter campaign represents the LGBT community’s portion of the cost ($20,000) plus $10,000 for upfront costs and ongoing maintenance. 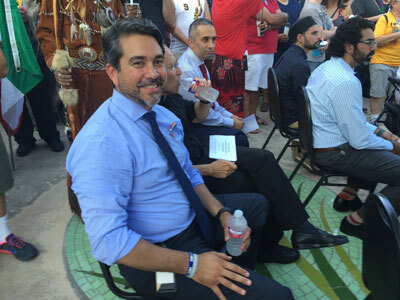 Phillip Barcena, board president of Pride San Antonio and James Poindexter, board secretary of Pride San Antonio, are among those helping lead the effort to secure the funds. They told Out In SA they heard from individuals and business owners who said they would help raise the money. However, with less than two months to plan, the support never materialized in time to meet the deadline. The Kickstarter campaign ends on Friday, December 22 at 3:11 p.m. Kickstarter does not collect funds from donors if the goal of the campaign is not reached, so no one is out any money. Poindexter suggested a new campaign could be started depending on how community leaders decide to move forward with the crosswalk project. 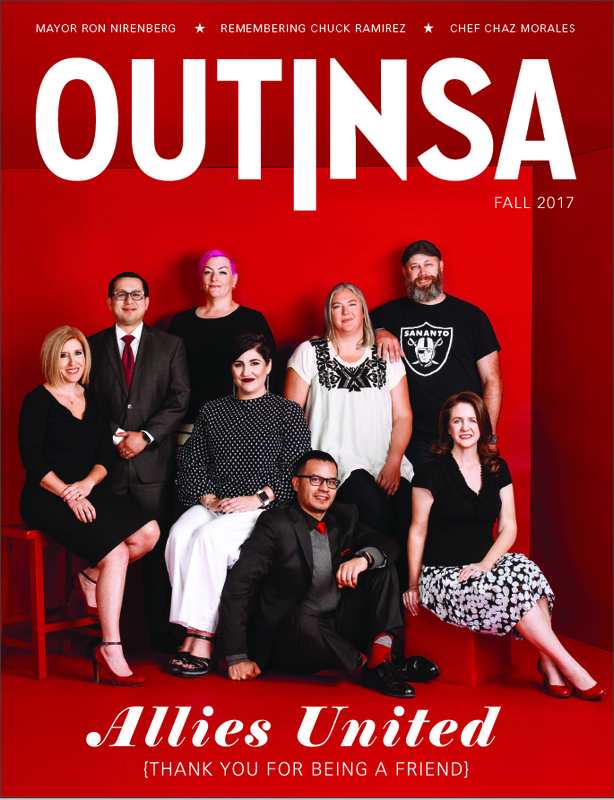 This article has been updated to include Councilman Treviño’s comments to Out In SA.